Hello, I’m Curt, and I am the editor of a space newspaper. 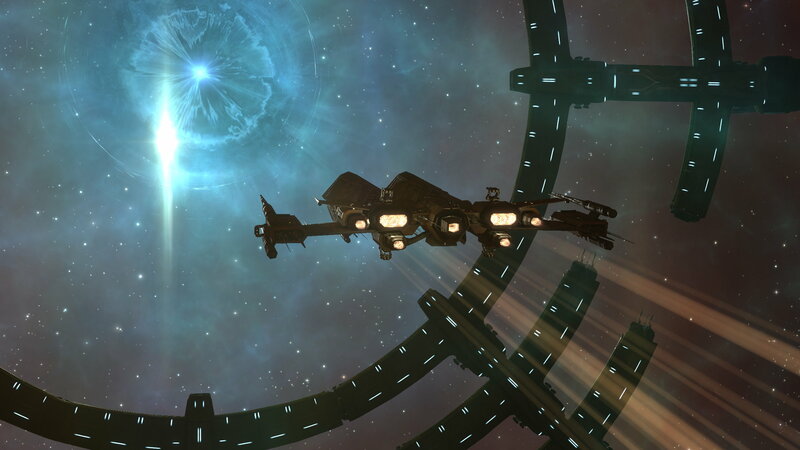 New Eden Report covers events and conflicts from the Icelandic space MMO Eve Online, known for its player-run universe (or the time $300,000 worth of spaceships died). Many non-Eve players may be aware of these large fights, the ones that make it to mainstream gaming media. For instance, the recent rout where hundreds of supercapitals (the largest and most expensive ships in the game) were forced to stay logged off while they were “hellcamped”. But we cover even more than that. Whether it’s roundups of the galaxy’s conflicts, in-depth battle reports, video updates, or interviews with space warlords, we provide news on events that might otherwise fall into obscurity. This isn’t always easy in a secretive meta-game known for its back-stabbing and propaganda. New Eden Report is the work of many different players. We have a dozen members writing, editing, sourcing information, producing graphics, and doing video work. What we end up with is a functioning news site. 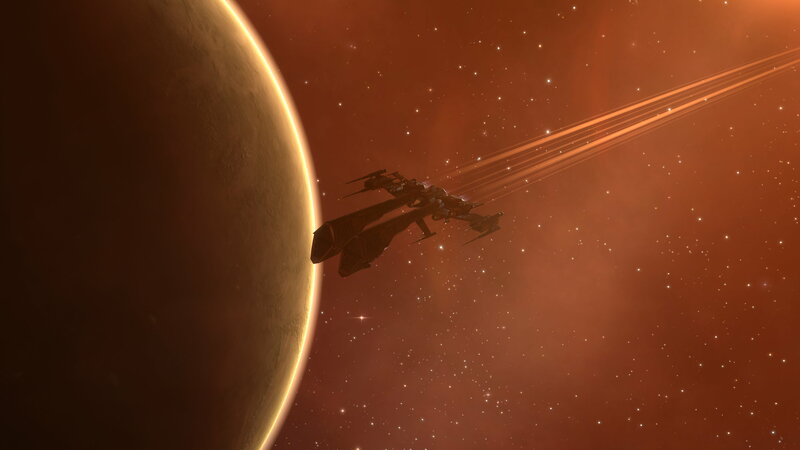 We’ve only been doing it a short while, since May, although some of us have backgrounds in other Eve Online news media and we have staff who’ve been playing the game since its earliest years. While articles are generally our focus, we also have our own video wing. For the big fights (like the recent battle which saw the firing of hundreds of doomsday weapons) we’ve been experimenting with YouTube and Twitch. This is usually a case of sending players out in fast, stealthy ships to sit on perches around the battlefield from which the fighting can be viewed safely. In the current war, the largest structures in-game, Keepstars, have come under assault multiple times. These are basically massive space stations that can house players, and there are often thousands of players clashing over them, leading to some spectacular fights (albeit laggy ones due to the sheer amount of spaceships on the field at once). We’ve made an effort to cover some of these in news-style streams with tickers, commentators, and live broadcast-type animations on Twitch streams. Although it sometimes does result in the loss of a camera ship or two. But of course, we rely on writers as well. 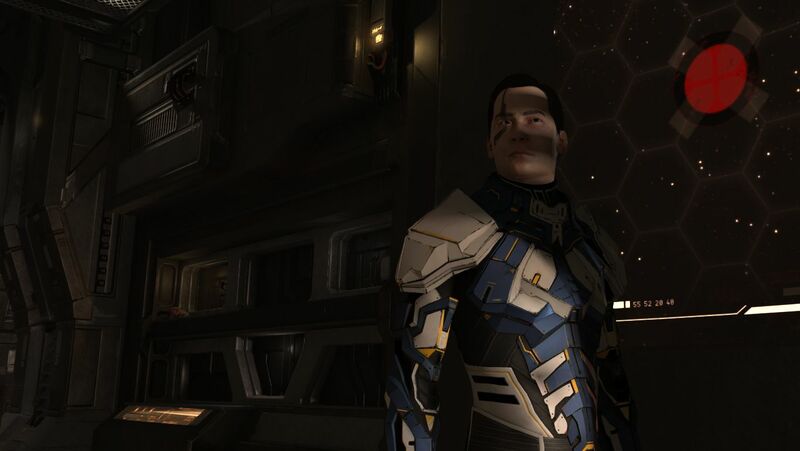 A good example is Salivan Harddin, our main battle reporter at New Eden Report [That’s his Eve name, of course – Ed]. He will interview fleet members and commanders from multiple sides of any skirmishes he writes about. Otherwise, he won’t submit the article at all. It’s not easy getting in touch with specific people in a short time, but it ensures his posts are as detailed and impartial as possible. Salivan might speak to a pilot from a particular bombing run, or to a commander overseeing a capital fleet, and he will chase down Discord tags and send out Eve mails to find his man. Battle reports become much easier to piece together after the fight is over. There are player-developed intelligence tools which tell us which ships were destroyed and where, all using player account APIs. Basically, a ticker tape of death data. These are called “killboards”. As a battle rages or a conflict emerges, the ships lost will be listed on the killboards of the alliances involved. So even if an alliance maintains total radio silence, their PVP activity is still public. Major losses can’t be hidden. At this point, finding battles to report on is much easier as the losses become apparent. And once we’re aware of a battle, and its participants, it becomes more straightforward to pursue the story. The Eve Online community doesn’t stop there in providing tools and tidbits of information. Obviously, the Eve Online subreddit is filled with players discussing the latest dramas, trash-talking each other’s alliances, and posting propaganda for their own alliance. But there are also a variety of third-party tools such as one that tracks any fleets moving about and a live-ish map of New Eden. Both are useful to us. Not all our articles are about battles, however, and many often require additional work to source. For instance, we also covered this year’s elections for the Council of Stellar Management. This is a small group of player-elected councillors who work with the game’s developers, CCP. This year, however, a well-known figure in Eve Online’s political meta-game – called “The Judge” – used his vast in-game wealth to pay for votes, earning him an ill-gotten seat on the governing body. The Judge paid for approximately 550 votes, which was enough to get him a place on the CSM. Using in-game cash to buy votes is acceptable as per CCP’s “hands-off” rules, but it’s definitely something that we felt the players should be made aware of once we were informed by an inside source with knowledge of the vote-buying scheme. Reporting this presented a unique challenge. As it was such a controversial issue, we had to be extra careful with the way the information was handled, making sure that our source was trustworthy, and we had to make good use of CCP’s publicly available anonymous vote ballot data. Once we were happy with what we’d written, we went live with the piece. Even still, accusations of bias still occurred. The real challenge in cases like this is often separating genuine feedback from players who are simply unhappy that we didn’t write positively about the “side” they’re on, or a battle they were in, or a war that they lost. This is where remaining impartial helps because you don’t end up misrepresenting a loss to favor one side or the other. Hugh Caswakk, the other founder of New Eden Report, is primarily responsible for our flagship posts, the “1900 News”. There are dozens of potential stories for this every day. However, the main difficulty in reporting on these is that much of it happens without anyone knowing, except for those immediately involved. This is exacerbated by the paranoia of Eve players. The average player organization is rife with individuals who might be spies and potential defectors. As a result, many alliances need to have layers of access to certain information to maintain operational security, or “opsec”. To mitigate this problem, many players act as informal “correspondents” by supplying Hugh with information on the conflicts that they’re involved in. This way we have sources who can verify information and report on conflicts. In other words, to give us details that we might be missing. They might tell us about battles, the deployment of large structures, significant fleet movements, or other military or diplomatic developments. 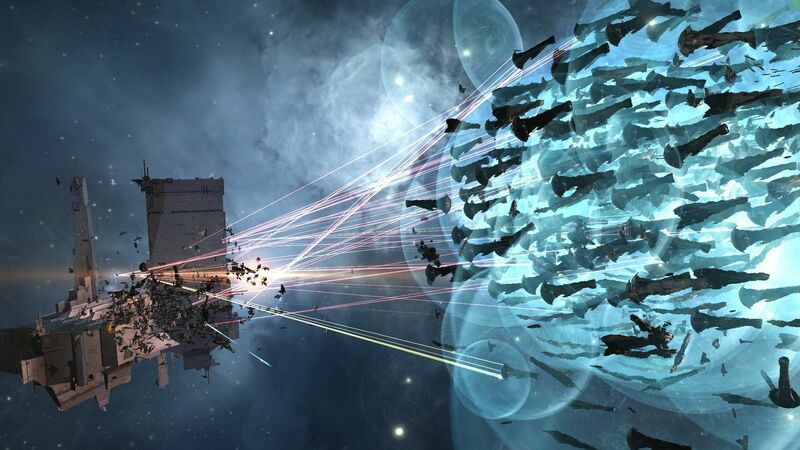 I believe Eve Online is an awesome game, and there is nothing currently comparable in the gaming industry when it comes to making players fight or broker deals at small scale or large. With that in mind, it’s important that there be a group of people who can provide news about it. It’s hard work, but it’s worth it knowing that the players’ stories will survive, rather than simply be forgotten or missed by the community. Looking back on the past few months, it’s been very satisfying to see what we’ve achieved in bringing news to the players.